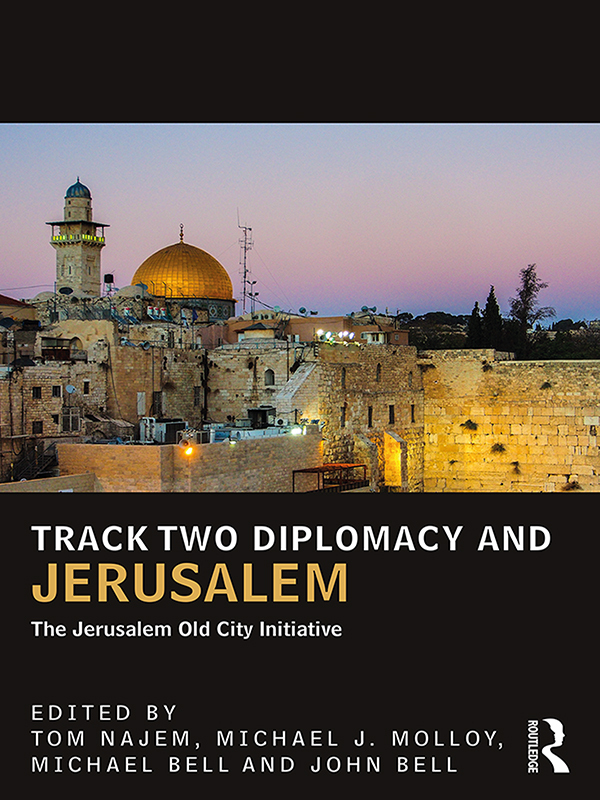 Track Two Diplomacy and Jerusalem’is the first in a series of three books which collectively present the work of the Jerusalem Old City Initiative, or JOCI, a major Canadian-led Track Two diplomatic effort, undertaken between 2003 and 2014. JOCI’s raison d’étre was to find sustainable governance solutions for the Old City of Jerusalem, arguably the most sensitive and intractable of the final status issues dividing Palestinians and Israelis. ‘Track Two Diplomacy and Jerusalem’ includes a series of studies that place JOCI within its historical setting and explain the theoretical context of Track Two diplomacy. The book then proceeds to present the Initiative’s culminating documents, which outline in detail its proposed Special Regime governance model. Until now, the proposals have remained unpublished and available only to a limited audience of key stakeholders. Presenting the information in an accessible format, this book will contribute positively to the wider conversation on Jerusalem, especially with respect to the longstanding conflict over control and governance of this holy city. It will therefore be of value to several audiences, from the policy-making community to the various traditions found in academia.